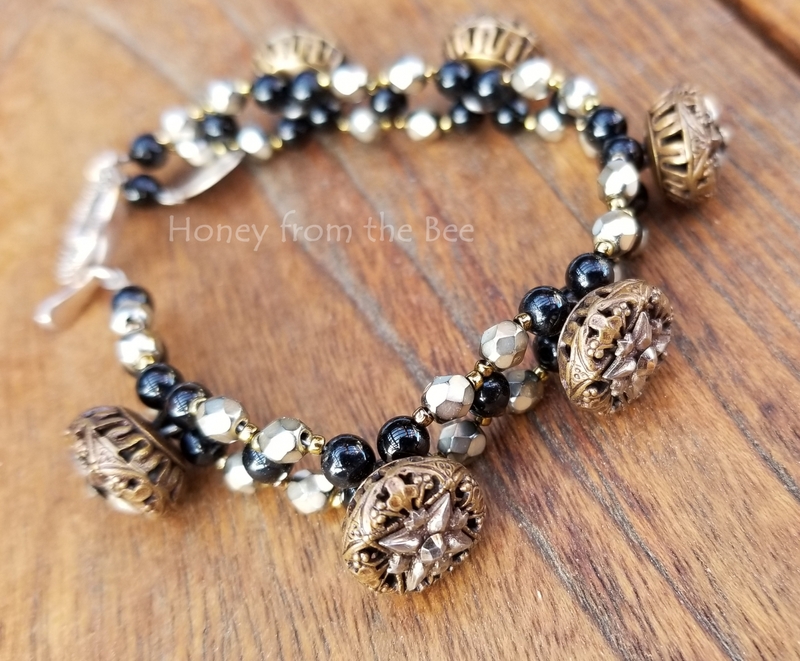 Victorian era and exquisitely made Antique buttons in Brass Filigree and Steel-cut, each about 1/2 inch across pop up on your wrist for one-of-a-kind elegance. Black Onyx and Czech crystals complement the buttons. I love buttons.. as many of you know. These would definitely rank up in the top 3 I've ever owned. They're works of art on their own! Note: When I design with vintage and antique buttons I always maintain the integrity of the buttons by not removing their shanks. This allows the buttons to continue to rise in value. 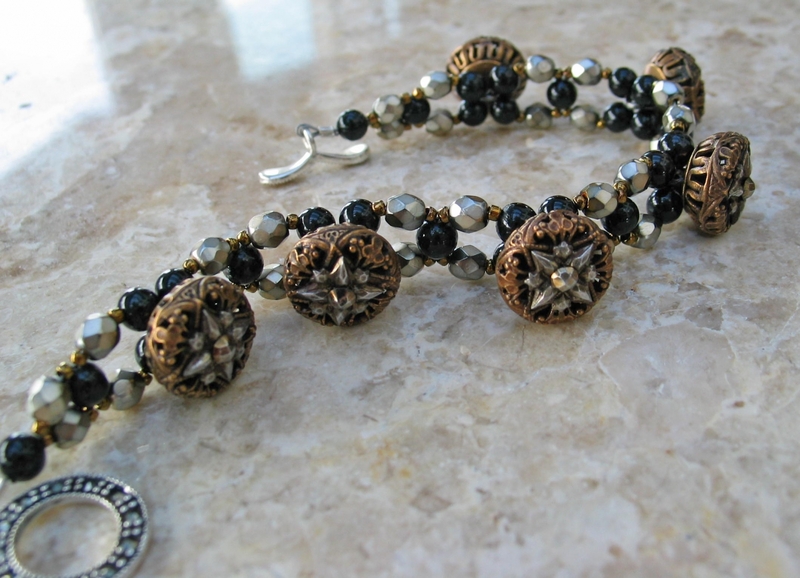 A small Sterling Silver and Marcasite toggle clasp and onyx beads just add to the overall feel of Edwardian or Victorian charm.